Researchers from the Arthur Rylah Institute have just completed their annual fish survey along the King Parrot Creek, finding good numbers of the endangered Macquarie Perch of varying sizes, as well as a range of other native fish – and platypus. Numbers of trout were down on previous surveys, and, at the time we caught up with Jo and Renae near the end of the survey period, no carp had been found – good news for the native fish. 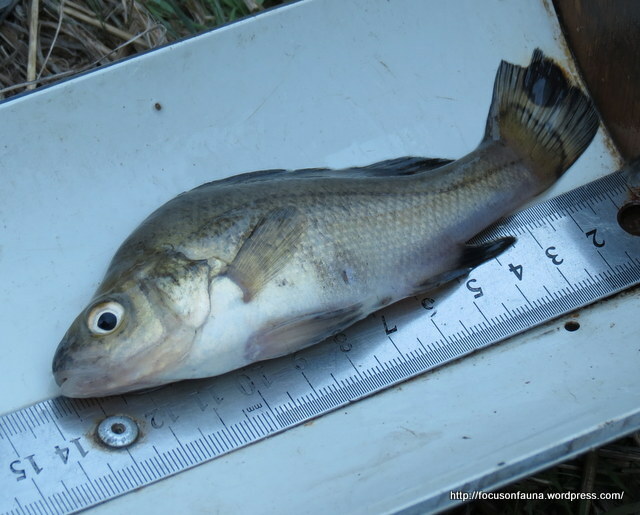 Macquarie Perch numbers have increased significantly since surveys began in 2006. 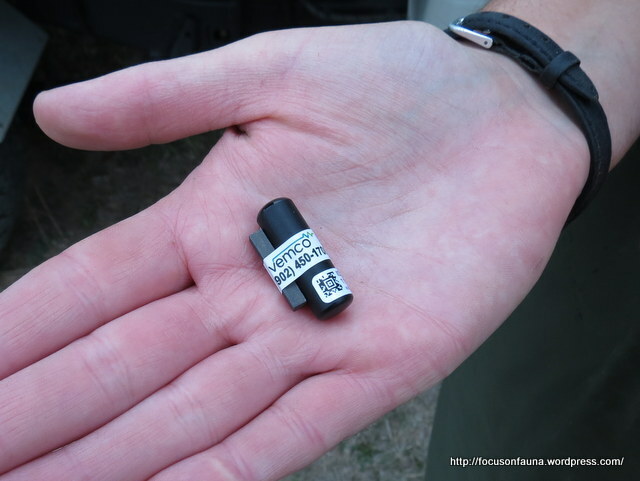 This year, in addition to their regular tagging program, about 30 larger Macquarie Perch have been implanted with acoustic transmitters to find out more about fish movements. Several receivers have been located along the creek, which will record each time an implanted fish passes by. The logged data will provide valuable information on likely breeding sites, how far the fish travel, the locations of any obstructions to fish movement and refuge sites during low flows, e.g. do they move into the Goulburn River ? For more information about Macquarie Perch posted on the DEPI website, click HERE. The King Parrot Creek Project is funded through the Goulburn Broken Catchment Management Authority by the Victorian Government’s Securing Priority Waterways – On Ground Works Program. The project aims to improve the health of the King Parrot Creek and protect and expand Macquarie Perch habitat by providing grants to landholders for stream-side fencing, weed control, revegetation and off-stream watering for livestock. For more information about the project, phone River Health Officer Sue Kosch at the GBCMA on 5736 0100. Sue reminds us that taking Macquarie Perch from the King Parrot Creek is prohibited. Anglers are asked to record the numbers on any tagged fish caught and notify the GBCMA after carefully releasing the fish back into the stream. Any ideas how to rid lagoons of carp? We’re no experts on carp, but we understand that the only reliable way is to drain the lagoons. Other than that, what about inviting friends for a fishing competition! ?